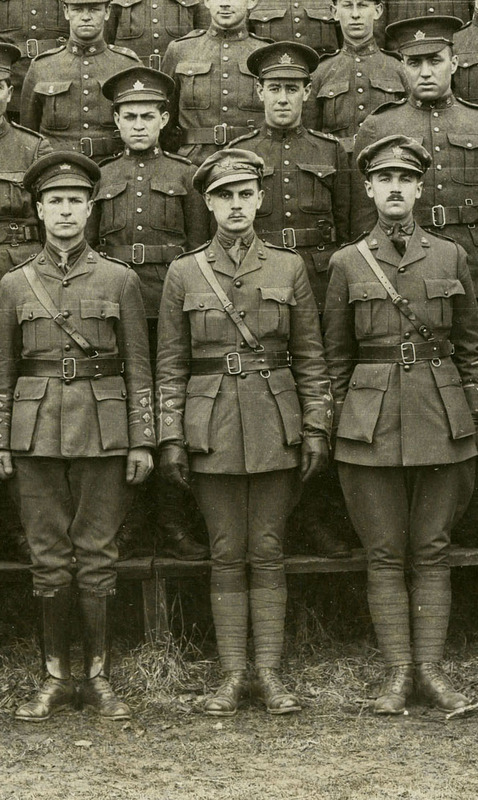 Join us on Tuesday November 18, 2014 at 7:00pm to hear Assistant Professor Geoffrey Hayes of the University of Waterloo speak about Waterloo County’s Great War Heritage. The lecture will be in the Theatre of the Central Library. It’s free and no registration is required. On Remembrance Day, I had the pleasure of hearing Dr. Hayes speak at the Global Youth Summit on War and Remembrance at the Centre for International Governance and Innovation (CIGI). It was a fascinating lecture which captivated and engaged the youthful participants in CIGI’s auditorium. 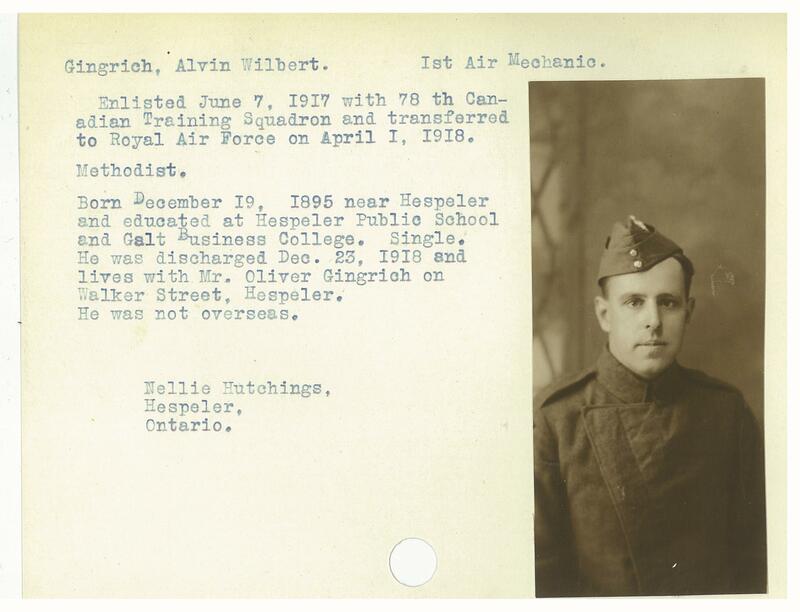 We’ll also be honouring the Soldier Information Card volunteers who have brought to life the lives of Waterloo Region/County’s soldiers through their transcriptions and research. 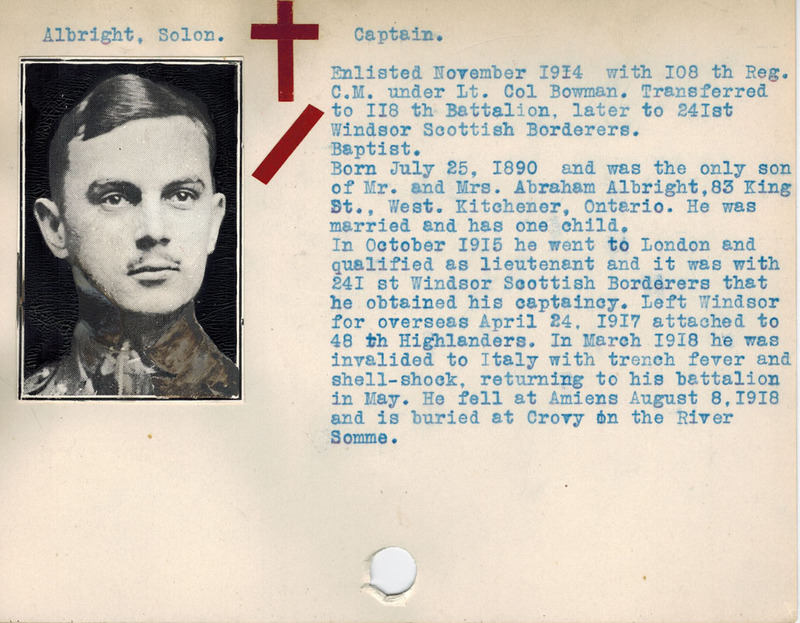 The Soldier Cards are being uploaded daily to the Library’s online site on Our Digital World. 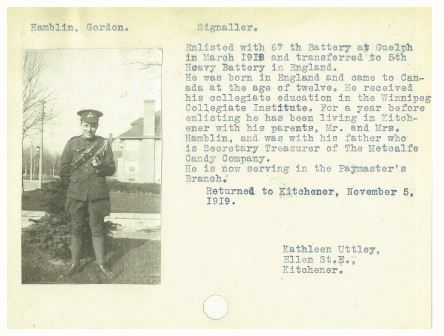 Check out the growing Soldier Information Card Collection here. always makes me tear up. There is something deeply profound and compelling about the promise to remember – a duty owed to those who served and continue to serve our country. 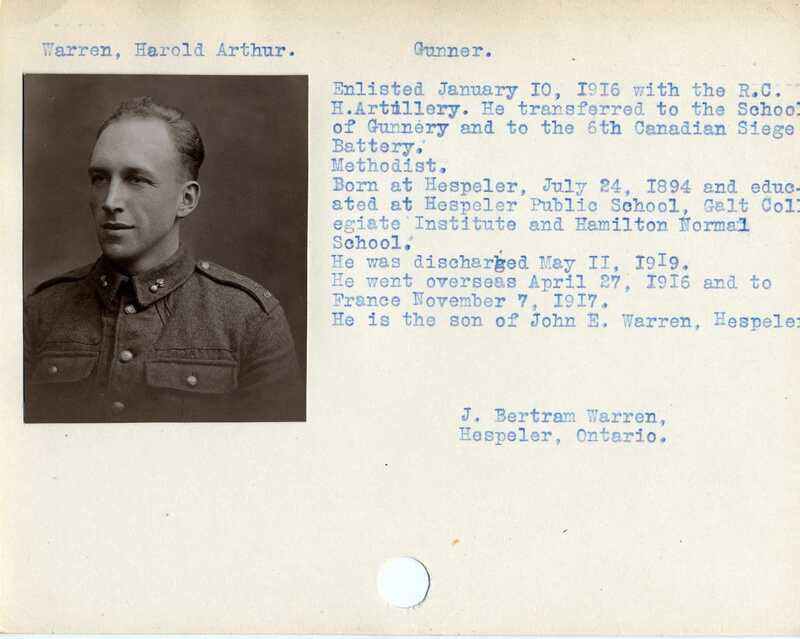 It’s been an emotional year working on the Soldier Information Cards, coupled with recent murders of two Canadian servicemen on home soil and Canada’s new military role in Iraq. I am reminded everyday of the lives, young and old, which were lost, shattered and forever changed by conflict and in the struggle to maintain peace and order. I don’t come from a military family. 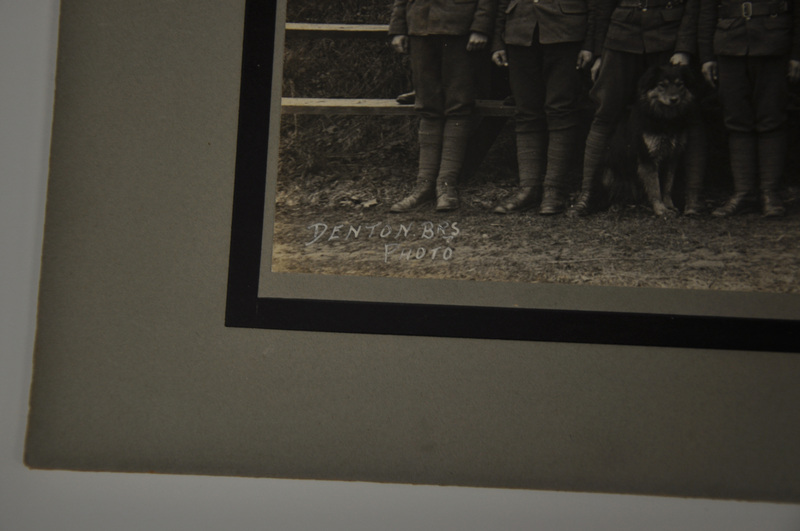 However, I have recently discovered a cousin of my Welsh great-grandfather who fought with the Royal West Surrey Regiment in the First World War. 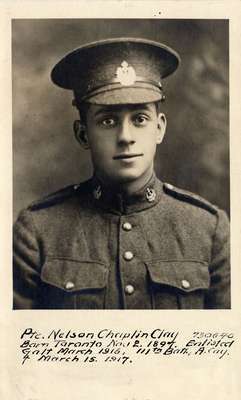 Private Robert J. H. Edwards died in battle, at the age of 30, on 22 October 1917, in Belgium, leaving behind a wife and four young children in South Wales. The details of his military career and life are still sketchy, but I feel compelled to keep digging to find out more – to tell his story, to remember. The GSR is on the move again… into our final location! The GSR is getting ready to move! It’s official! – the Main Branch of the Kitchener Public Library will be closed on or about March 24, 2014 for approximately 2 months for the move into our newly renovated building. The Grace Schmidt Room will not be open to the public during the Main Branch’s 2 months closure. While I’ll miss seeing our researchers, I’ll be busy with the move of the GSR into its final location. The closure of the library will allow for the completion of renovations and removal of our temporary offices and work spaces. 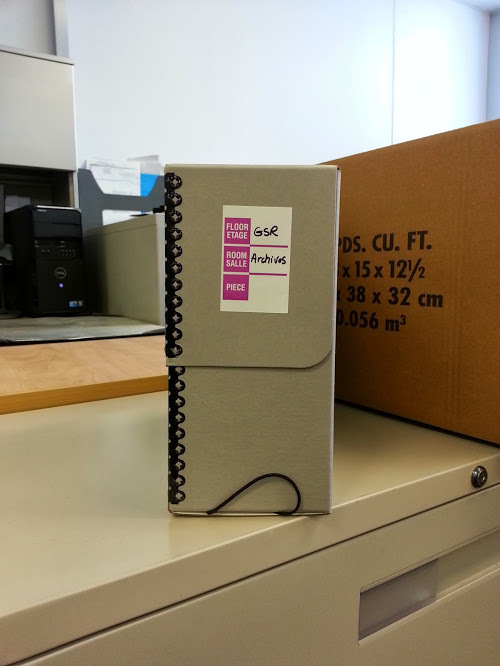 I look forward to being reunited with the archival collection, which has been off-site since our move into the addition back in February 2013. If you have information that you are seeking from the GSR during this time, you can email me, but I cannot guarantee a prompt reply as collections may become inaccessible due to the work being carried out and the move of furniture, equipment and people. I’ll do my best to reply, but the move will take precedence as we are working to have the building open as soon as possible. Our archival collections will be returning in stages, so we may not have everything back by the time of the Main Branch re-opening. If there is something specific that you are seeking, please email me after the re-opening so we can verify the item of interest is available. 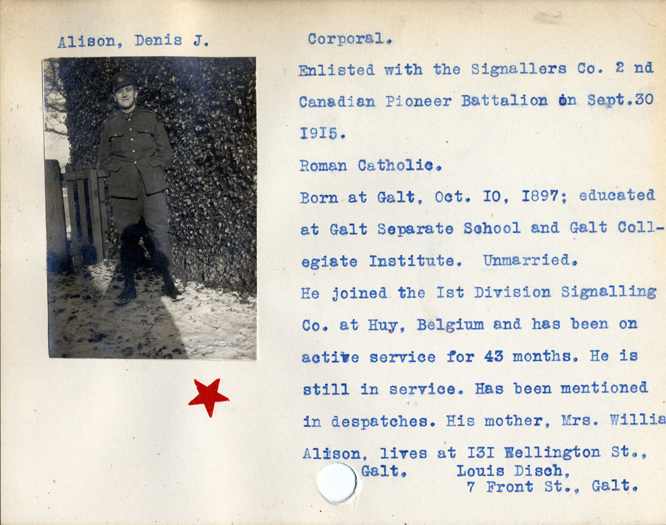 Please note that the KPL Soldier Card Project will continue during the closure. We will be doing our best to get cards distributed for research and transcription.